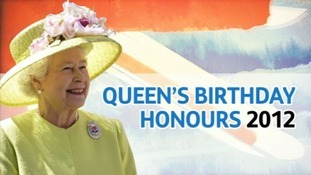 Geoffrey Hopkinson from Walton-on-the-Hill near Stafford has become the first person to receive a Queen's Birthday Honour for Beekeeping. The 84-year-old said he first developed a love of beekeeping in 1948 when he helped his cousin move some bees while on leave from the Army. The Chief Nursing Officer of The Royal Wolverhampton Hospitals NHS Trust says she is "humbled" to be awarded an OBE in the Queen's Birthday Honours List. Cheryl Etches, who is from Wombourne in Staffordshire, has been in the role at the Trust for seven years. The Trust says she has been "instrumental" in turning around the hospital in Wolverhampton to become one of the highest performing NHS Trusts in the West Midlands and nationally.